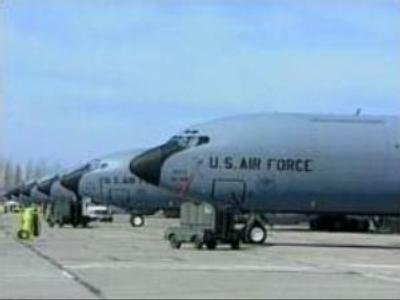 The parliament of Kyrgyzstan has called on the government to reconsider the presence of a U.S. Air Force base in the country. It follows an investigation into the killing by an American soldier of a Kyrgyz driver. The future of the U.S. base was put in question after the death 42 year old Alexander Ivanov. He was delivering fuel to the base when he was shot dead by U.S. soldier Kakiry Hatfeld. The incident has fueled concerns among politicians over the future deployment of NATO soldiers in the country and caused resentment among the local population. American soldiers enjoy diplomatic immunity which means police cannot arrest them, and local authorities can not charge them for any offences committed in Kyrgyzstan. For many Russians and neighboring countries the presence of NATO soldiers on what used to be the Soviet soil came as a shock. Members of the Kyrgyz parliament have sent a clear message. If U.S. troops are here to stay their status must be reconsidered.